We can also use yoga to help our clients and loved ones get out of shoulder, neck, knee, and back pain that they experience in their day to day lives. 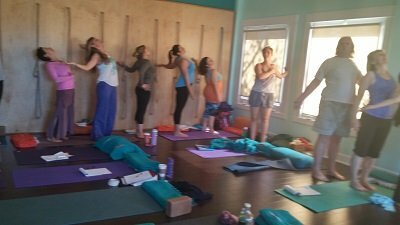 In The Yoga of Healing for Women in their Childbearing Years, you’ll become comfortable with simple alignment actions that help relieve aches and pains, for both pregnant and non-pregnant students. In this powerful, information-filled weekend you will receive alignment principles to practice, teach, and live by. These actions we can do anytime help maintain pain-free living, strength in our core and joints, freedom in our physical and energetic body, and inner support throughout the cycles and phases of our lives. We will apply these principles to basic yoga poses and sequences, and learn to instruct with them to help our students out of pain. Thank you Colleen for sharing with us your knowledge about bio mechanics of the body, energy flow and mindful movement. I really appreciate you taking us in such an awesome journey through the body’s anatomy and it was really amazing to be able to feel the different alignments ourselves. And at the very end of the training I feel confident enough to be able to recognize mis-alignments and have the tools to guide a student into a better and more optimal position. Feeling the changes and benefits in our own body was key to be able to understanding all the principles of Therapeutic Yoga! What is The Yoga of Healing about? 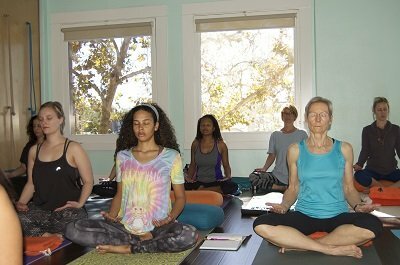 As a Certified Anusara teacher for many years, I saw first-hand the ways in which alignment-based yoga helps us get out of pain, and stay out. But I also saw the ways in which separating out different body parts and using our more analytical side to heal could make things worse. The therapeutic principles morphed into the 5 Ma Yoga® alignment principles – or the Five Sacred Steps – that use our more feminine, co-creative, intuitive Self. We always work on multiple levels, never just physical, and connected to the whole. The “healing” and “therapeutics” denomination are not Yoga Alliance registered, but rather come through my Masters in Exercise Science as well as years of working with women’s bodies, minds and hearts. The Five Ma Yoga Alignment Principles, or Five Sacred Steps – We will dive into each step, and practice applying them , and how to apply them to our every day poses to get and keep students out of pain. Women’s bodies – We will address particular discomforts and injuries using women’s bodies as our model, as well as common challenges along the journey to including infertility, dyastisis recti, and back labor. See energetic flow – Once you have these tools, you will be able to see where misalignments occur and help shift people in to a healing direction. By looking closely at specific issues related to pregnancy and postpartum, you will come to know intimately what the body needs physically and energetically to maintain ease and strength even in the most unstable and depleted times. 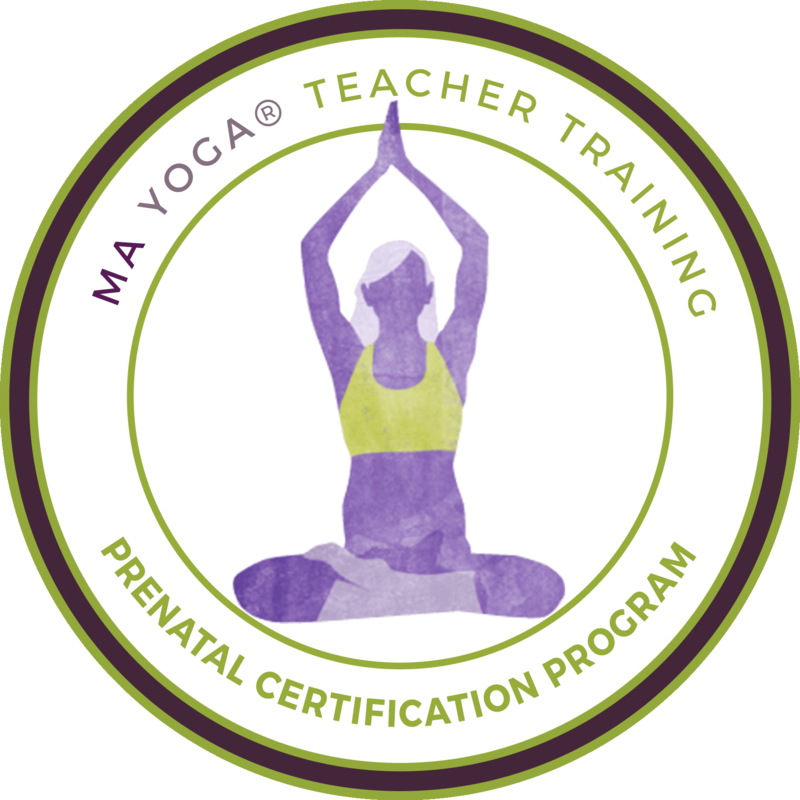 And finally, you will be part of an ever-growing, global community of yoga teachers, birth practitioners, and mamas who use birth as our guru to find our own open, strong, creative center – no matter what challenges arise!